We create, we critique, we revise, we publish. Together we are...revisionaries! Seymour Snail, the world famous artist, is sliming his way to the San Francisco Museum of Modern Art this Sunday September 18th (along with his author, Lynn Hazen) for Family Sunday at SF MOMA! Come join the family fun! 1:00 on Be sure to join us in the Koret Studios (2nd floor) after 1 p.m. for a chance to work with Lynn to create your own Amazing Trail book mark and multi-media snail in the Koret Studios. Lynn E. Hazen writes children's and young adult books filled with humor, heart and hope. 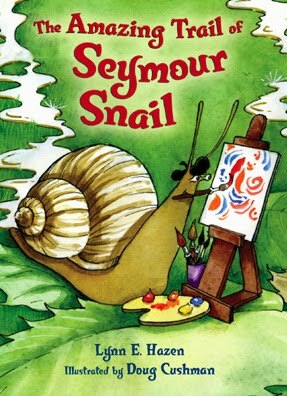 Lynn's books for younger readers include: TheAmazing Trail of Seymour Snail, Cinder Rabbit, (both young chapter books), Buzz Bumble to the Rescue (a picture book), & Mermaid Mary Margaret (a middle grade novel). She has also written a young adult novel called Shifty. Inspiration often comes from her own kids as well as the exuberant children she encounters as a preschool director. Family tour at 1:00 p.m. Explore art, create your own, travel to virtual worlds, get hands-on, discover special places, be inspired. That’s just a hint at the fun we have in store for you on Family Sundays.Moderators guide participatory art projects, and docents lead family-friendly gallery tours. Special programs like book readings and movie screenings round it all out. Look. Think. Create. That's the plan for Family Sunday. See the Family Sundays page for details. Program and museum admission are free for children 12 and under. Regular admission applies for adults and students. Lynn: To start us off, could you each please tell us a little about yourself, your career, and one unusual thing that few people know about you? Jim Averbeck: Okay that’s weird – because I also was on the archery team in college. I wasn’t ranked, but I owned my bow and stabilizers and had a lot of fun. Wait! Does that mean I’m a nerd, too? I always suspected I was. As for my life and career: I grew up in Ohio, in a suburb of Cincinnati, on a little cul-de-sac that abutted the woods. I always wanted to travel, so after graduating from Case Western Reserve University and working for a few years, I joined the Peace Corps. I lived for four years in Cameroon in Central Africa. I’ve touched foot on five of the seven continents and plan to hit the other two before I die. I think that’s why I became a writer – because Planet Earth really wasn’t enough for me, but the only way to travel to other worlds is through fiction. 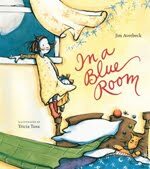 My first book, In a Blue Room, won a Charlotte Zolotow Honor. 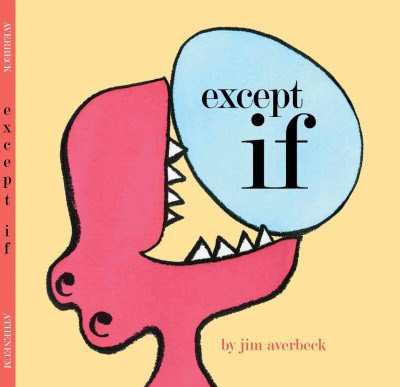 My second book, except if, just came out. Few people know that I have a Master’s in Intuitive Medicine, an alternative healing technique. Lynn: Jim, could you please tell us about your inspiration for except if? And is it true that this story was partly inspired as one of those year-end “assignments” in your Revisionaries critique group? Jim: Yes, that’s’ true. Each year the group has an assignment to write something entirely new, from a theme or writing prompt. In 2008 the theme was “baby book.’ I didn’t want to write a book about a baby as that felt too predictable, so I asked myself, “what is like a baby, but not.” My answer was “an egg is not a baby bird, but it will become one.” And that was the first line of the story. Lynn: Namrata, what did you think when you first saw Jim's manuscript and sketches? Was it love at first reading? Did you have any challenges getting everyone on board at the acquisitions or marketing meetings? Namrata: It was indeed love at first sight. The concept was brilliant. And in my acquisitions memo I wrote, “This one is a winner!” and everyone agreed. Lynn: Jim and Namrata , Did you always imagine the illustration style to be like the final result? What was your process? Namrata: We always knew we wanted the style to bold, simple, and graphic. We worked really hard on the illustration style as Jim was being really adventurous and trying a whole new direction. The art director, Ann Bobco, and I fell in love with Jim’s line quality and we tried to guide the art and palette so that Jim’s gorgeous line work would be showcased. Jim: My usual art up to that point had been more… I guess ‘sophisticated’ would be the word. But when I wrote except if I did so in a child’s voice, as one long run-on sentence. (You know how kids will related a story: “and then Johnny did this and then I did that and then… and then…and then…” Maybe “and then” can be my next book.) I wanted the art to be closer to the kind of drawing I see children do, to match the text. My first sketches were very childlike, but I knew for someone to buy the book, they would need to change. So I worked with oil crayons and textured paper to get an interesting line quality. I drew the same sketch many times quickly, often with my left hand, to get a childlike quality to the drawing. The original book had a bit of a color-concept-book aspect to it, with bright bold color blocks. Nami and Ann suggested the line would pop more with muted tones and I agreed. 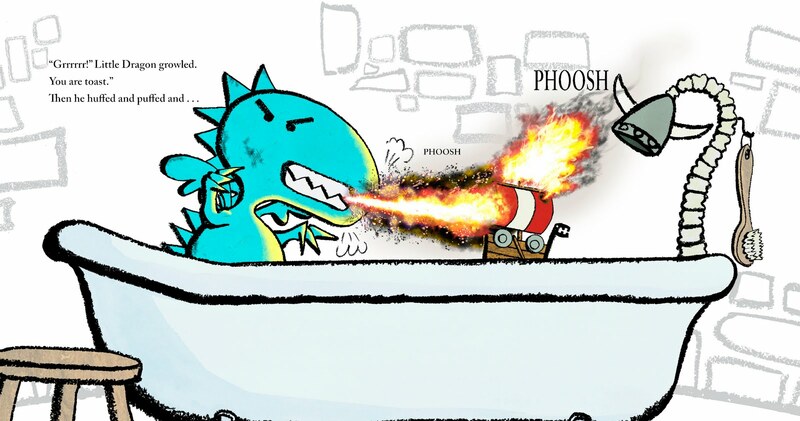 We retained a bright color for the dino star of the book, but dialed back the rest of it. It took me a while to get there because I am naturally drawn to super-vibrant colors. I love the end result. I hope others will too. Lynn: Jim, were there any first readers, critique group members or others who did not "get" what you were aiming for? Jim: Actually they all got it and urged me to submit it immediately. But this was at our holiday party and I decided to bring it back when less wine had been served. I worked on it for a few weeks and then was satisfied and turned it over to my agent. Lynn: One thing I completely love about except if is the fun celebration of the unexpected. 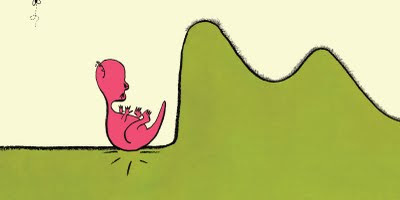 Sometimes unexpected events in the life of an author-illustrator or an editor are less than fun and we feel like that once sure and sticky-footed lizard who realizes he is a dino and falls on his rump. Could you each please share two unexpected moments in your career (one positive, one less so)? Jim: In the long run, there really is no such thing as a “negative” fall. Things that seem so tragic in the moment usually turn out to be a great opportunity for growth. If it is your writing or art you are struggling through, you usually end up with a stronger product. 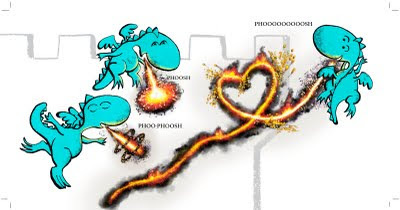 I mean look at the dino in except if. 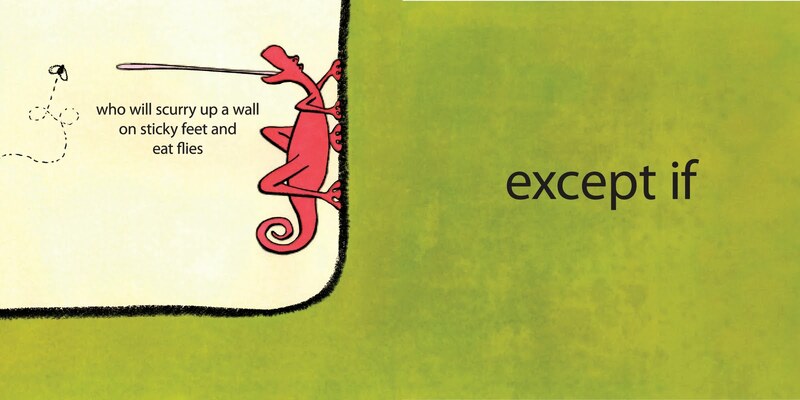 True, he loses the lizardy abilty to climb walls, but he grows into a friggin’ DINOSAUR! How cool is that? For my example, I’ll turn to the next book on which I am working with Nami and Ann, Oh No, Little Dragon! I turned in what I thought was a perfectly lovely idea for the backgrounds of the book. I wanted this mottled purple that would feel like the interior of the castle where Little Dragon lived and would emphasize his awesome fire. Nami and Ann … uh… disagreed. For a while I did some work that we all thought was okay, but didn’t really send any of us into rapture. In the end my crit group helped me light upon a new idea, which I loved and which excited Nami and Ann as well. It has a more sophisticated design feel and while still showcasing my linework. See what you think. Lynn: Jim & Namrata, since this is an imaginary blog I’m hoping you each have some advice for writers and illustrators on how to keep going when we feel we are falling, failing or what we are imagining is not yet showing up on the page? Namrata: Hmm…I have two almost contradictory pieces of advice. 1.) Just sit down and do the work. Do it again and again. It takes time and practice and discipline. No one said creating art or literature is easy! 2.) Get out in the world and explore. Allow yourself the opportunity to engage with the world. Read other people’s books, look at other people’s art, listen to great music, eat fabulous food. Do whatever it is that makes you energized and inspired. I find that surrounding myself with people who are super talented (or surrounding myself with their work) is a good place to start! Lynn: Namrata, could you please share any advice on how to surprise an editor (in a good way :-), and any TOO surprising or unexpected things we may want to avoid? 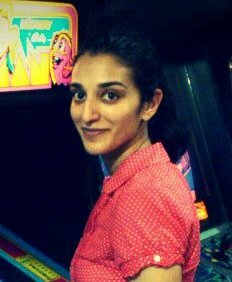 Namrata: My favorite surprise is always a brilliantly written manuscript or a fantastic art sample. One surprise I could have done without: a mini bottle of Sambuca that came with a submission. Jim: Nami, you may forward all sealed food and drink and anything with an e-bay resale value to me. I shall dispose of it properly. Lynn: Jim, you are the master of poetic brevity, page turns, the unexpected, and bringing your story full circle in except if. Could you share any tips for aspiring writers on how to accomplish such literary feats? 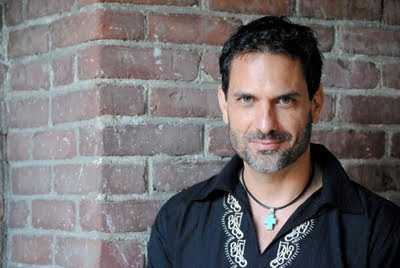 Lynn: Jim and Namrata, since this is an imaginary blog, what aspects of your writing & illustrating (or editing) career is surprisingly different than you ever imagined? Namrata: I never thought that as an editor I’d have so little time to read. That was the rudest surprise for me. On the flip side, I didn’t know, going into this industry, how many wonderful friends I’d make in the authors and illustrators I’ve worked with along the way. Jim: The publishing business model, with its returns and complicated royalty structure and glacially slow payment system makes for a lot of financial stress on the author. Yuck. – My flip side would be similar to Nami’s. 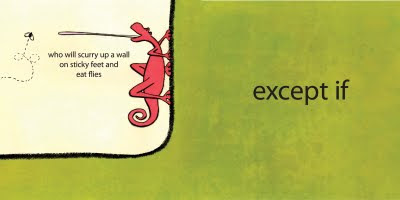 Unlike most businesses where people are cut-throat and competitive, the children’s book world is one where everyone seems to celebrate other people’s success, because no matter who connects a child with a book, it is a victory for everyone. Lynn: Jim, what are you working on now? What can your readers look forward to next? Jim: I have a second book that I mentioned earlier Oh No, Little Dragon! and I also have a book coming out after that called The Market Bowl, which is set in the country in which I was a Peace Corps volunteer. And I am working on a few novels and some other picture books. Lynn: Jim and Namrata, what is the one question you’re hoping to be asked? And of course, what is the answer. Jim: Okay Nami, that is just plain eerie because I have been signingexcept if like this : A book is just paper and ink, except if you read it, then it’s a world. Namrata: That is weird! An author/illustrator and his editor are separated by a continent, except if they are psychically linked. Clearly! Lynn: Thank you, Jim and Namrata, for your fun and inspiring responses. Imaginary Readers, you can discover more about Jim and his books at the link below. 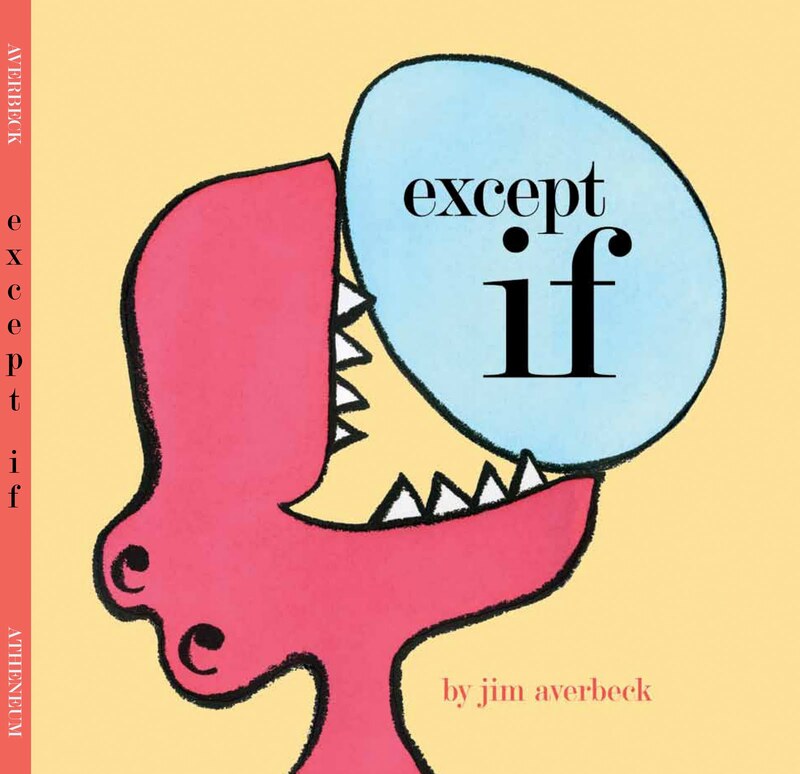 Forecast: A surprisingly fun read for young children and their grown ups with except if. And more great books for years to come from psychically-linked Jim and Namrata.